Enjoy the fun of water trampolines and water blobs with the best rental company offering the nicest watercraft on the lake. 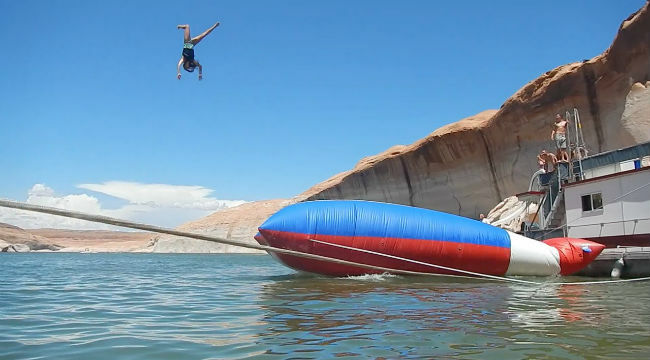 These water trampolines and blobs are inflated on the water at any lake; you set them up on site and they cannot be towed by any watercraft. 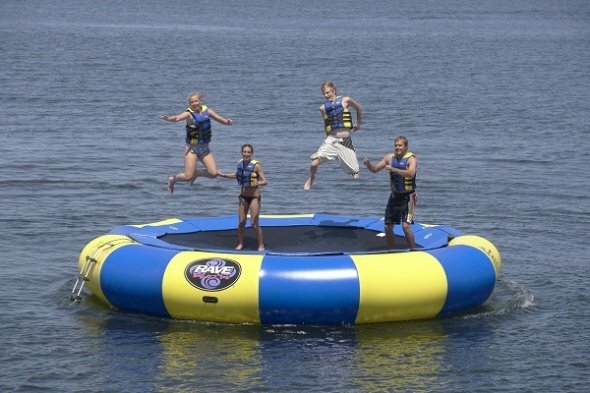 The inflatable water trampoline and water blob rentals is a must have with any houseboating vacation; this is one water toy all the kids and adults will love and spend hours on. These water trampolines and blobs are so much more fun than regular trampolines and launch pads and provide a safer environment from falls. If you move locations you must dis-assemble the water trampoline and then re-assemble. We require a seven or more day rental period for this fun water toy. Rent a Utah, Nevada, Arizona, Colorado, or California water trampoline today!